I must be getting old. Or maybe it was trying to do 5 different calendars in three different languages that did it! 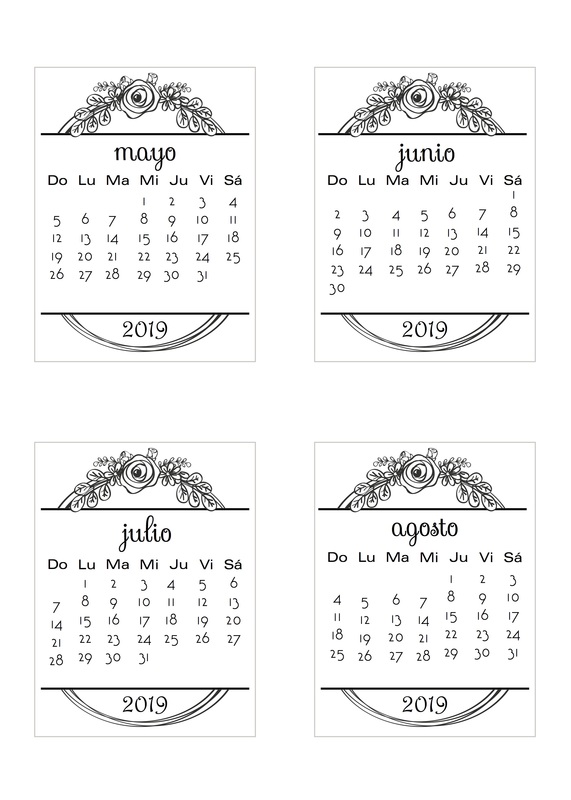 I usually try to get to Spanish and French calendars at some point and since I had requests I figured it should be sooner rather than later. Let’s start with the Spanish ones today. I know from past years that while SPANISH calendars usually have a Monday start, other Spanish-speaking countries have a Sunday start so I do both. 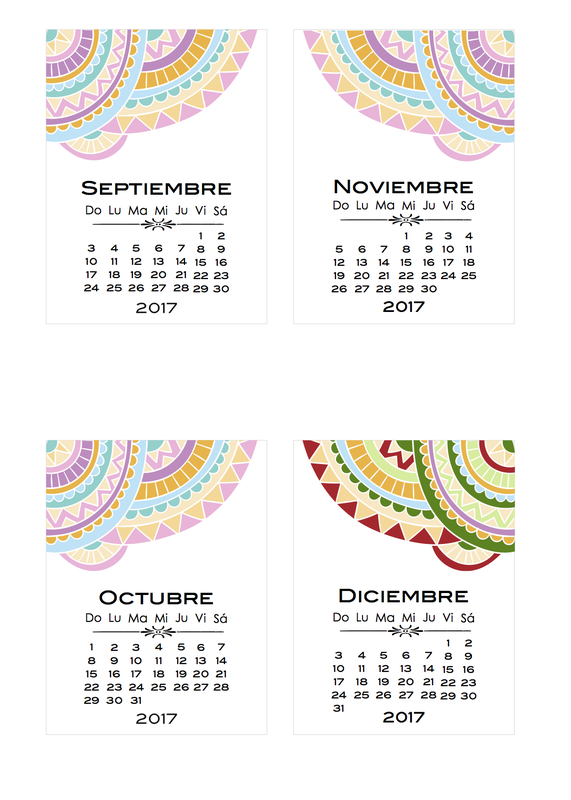 For the Monday to Sunday Spanish calendar click HERE. If you want the Sunday to Saturday version, click HERE. As usual I tried to check the month dates about 5 times, and I did find occasional errors (which I corrected, of course) but I do remember a few years back when I used some internet site for the month names and got many comments saying it was wrong – mine was only wrong cause the internet site I used was wrong. The design is in B&W but you could colour in the flowers with coloured pencils or Copics. Categories: calendars, Project Life, Spanish | Tags: calendars, Project Life | Permalink. Grab it here. I do realize that the world is split between Spanish speakers you use Monday to Sunday and those who use Sunday to Saturday. If there is enough interest I will try to do the MtoS version soon. 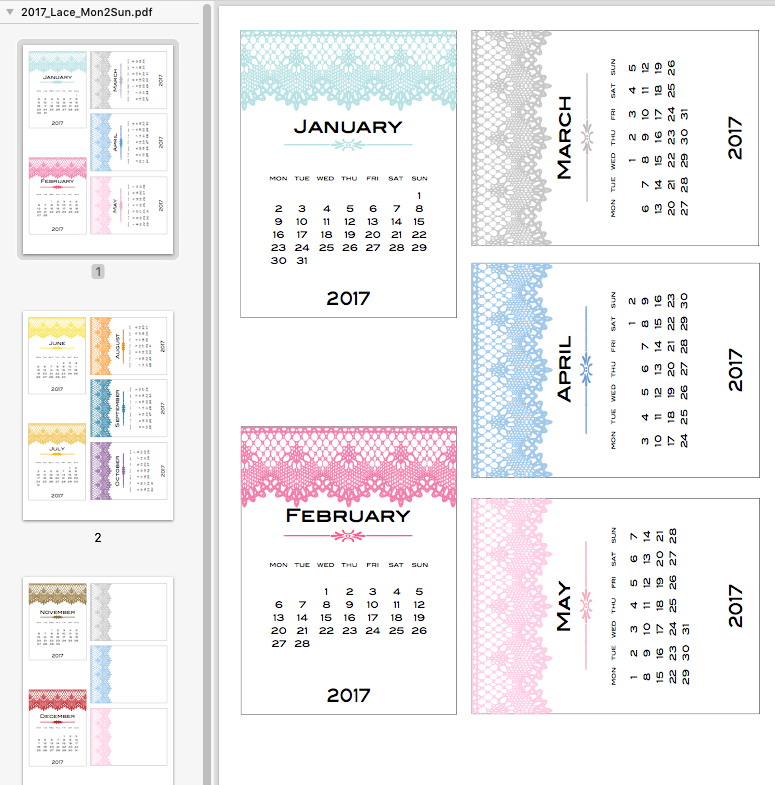 I also hope to sort out a Planner page so I can keep all the bots for printing custom calendar pages in one place. 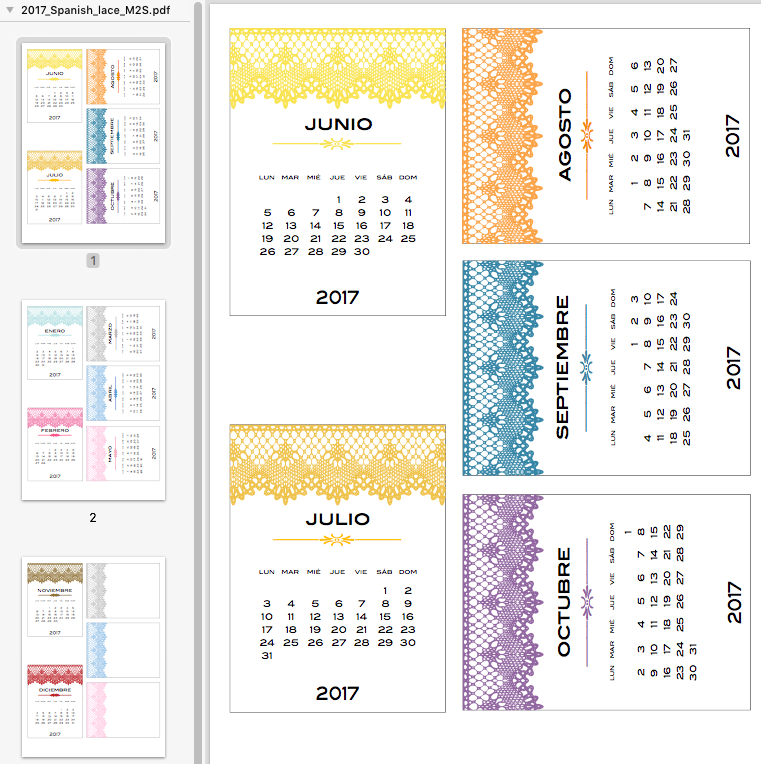 And I may try to see if I can print the calendar pages in different languages. I love a challenge….. Categories: calendars, Spanish | Tags: calendars | Permalink. This ended up being easier than I thought it would. Every year as I make these calendars I find new little tricks to help me create them faster. What takes the longest is obsessively checking to make sure I get the dates right. These have been checked and re-checked and I used what I hope is a reputable site to get the Spanish right! Oh, and note that there are a few blank cards at the end. Hope they are useful! That is sort of where I am – Sweetheart Script was the frontrunner by a mile. I can’t decide on the position of the flourish, or if I need it at all. I guess I am leaning towards the bottom flourish, so it doesn’t affect the readability of the days. Any thoughts? Now, as you know I’ve done foreign language calendars for a few years. I made a German one the other day, because a long time follower asked for the blank, decorate it yourself version in German for a project she has in mind. She vetted them for me so I feel most confident about them being right. 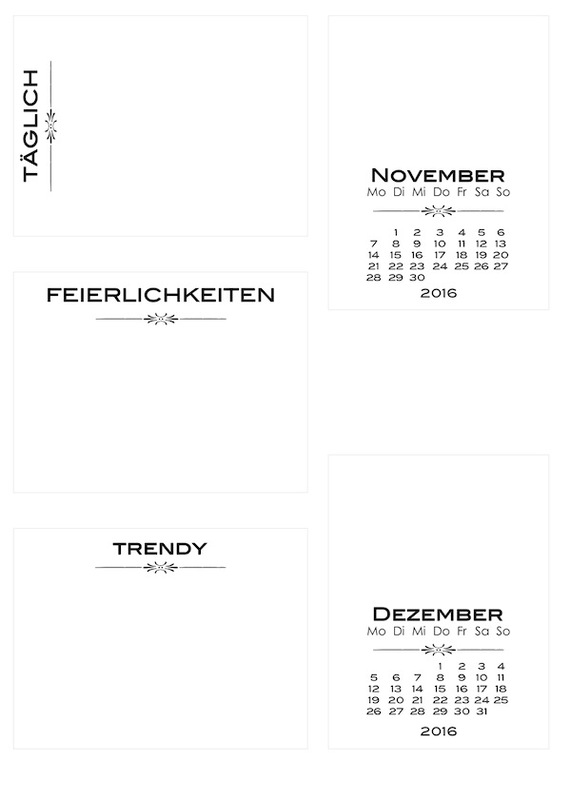 Grab the German calendar here. 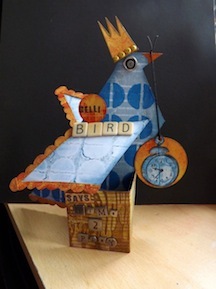 She also gave me the words for the journaling blocks. I also have a French version out to someone who will, I hope, be able to do the same. I’ll add them when I hear back, and if I don’t, then I’ll omit the journaling cards and post them that way. I did have a moment when I saw AUGUSTO instead of AGOSTO on one online calendar! Gave me no end of worry, but while AUGUSTO is a word in Spanish, near as I can find it’s translated as august, as in an august institution . The month August is Agosto. Honestly – the stress of trying to get all the elements right for a foreign language calendar is huge. If you see an error, do let me know. It’s cringe-inducing to make an error, but the sooner I know the sooner I can fix it. 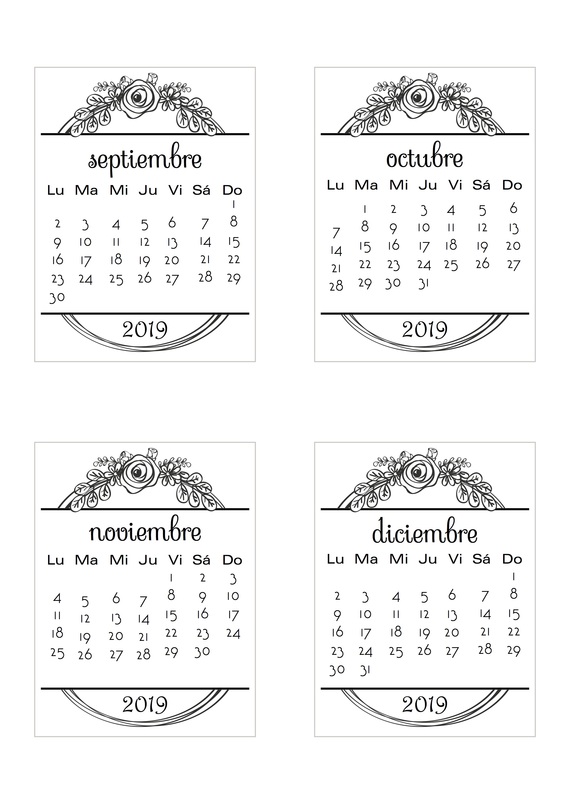 Categories: calendars, German, printables, Spanish | Tags: calendars | Permalink.